It’s impossible to predict with pinpoint accuracy when any disaster will strike. If fire, tornado or other unexpected natural emergency should arise, an entire family could find itself having to evacuate. While living away from the comforts of home can be stressful, it is far less so for those who have camping experience. Learning the tricks of roughing it can help any family stay calm during an actual disaster, but before setting out, it's important to know what you're doing. Without the proper preparation, that long-anticipated camping trip can become a disaster of its own. Here's what you'll need to succeed. While an inexpensive tent might do for those just starting out, the additional features of the higher-end models will better serve any outdoor enthusiast who intends to continue on additional camping adventures. Never set a tent on bare ground. A sturdy tarp will not only guard against damage from sticks and stones but also keep the ever-present ground moisture from seeping into the floor of your shelter. 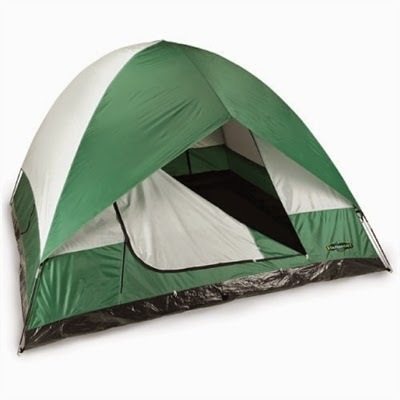 The appropriate specifics of this essential item will vary according to the climate of your intended camping location. The rating on every sleeping bag will indicate the lowest temperature at which it will keeps its occupant warm. If the night air falls below that measurement, the sleeping bag will fail to do its job. Sitting on the ground could make roughing it somewhat rougher than you really anticipated. Before long, you'll yearn for more-comfortable seating. When choosing camp chairs, be sure to consider child-sized ones for the younger set, and don't forget the hammock. For those relaxing afternoons around the campsite, a snooze between the trees can prove surprisingly restful. Although campfires can be romantic and fun, cooking food over one can get old in a hurry. 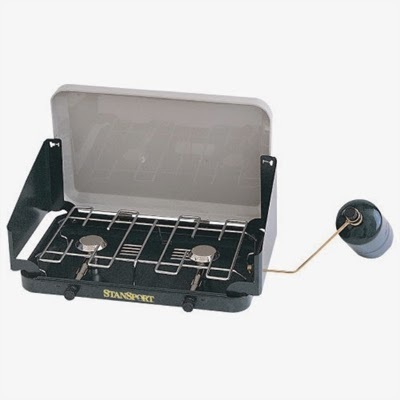 A propane stove, particularly the two-burner variety, will make meal preparation far more enjoyable, leaving you with time to do the things you really want to do in the great outdoors. The proper cooler for the purpose will vary according to its intended use. While a personal six-pack holder may suffice for a daylong hike, a large 70-quart model will serve much better for a weeklong camping trip. No matter how much H2O you carry along, the day may come when you find yourself forced to drink from a pond or stream. Unfortunately, the bacteria, parasites and viruses often found in untreated water can cause serious illness. A purification system will assist in providing the pause that refreshes while averting a pause in the nearest emergency room. A sturdy Mylar space blanket. Unbreakable dishes or paper plates. Paper towels and toilet tissue. When Camping, Leave Nothing to Chance. Know the area. Thoroughly study a local map and don't leave home without it. Familiarize yourself with the region's plant and animal life. Learn to differentiate between things that are safe to be around and those you must strictly avoid. Tell someone where you're going, who you'll be with and how long you plan to be gone. In an emergency, this could mean the difference between life and death. Always carry a cell phone, portable CB radio or personal satellite-enabled locator beacon. Evaluate the condition of the overhanging plant life at your intended campsite. A 10-year-old Wisconsin girl died recently when a tree branch fell on her sleeping family’s tent. If an unexpected emergency should arise, remain calm. Sit down quietly, observe your surroundings and give yourself time to think. Remember that in any unexpected situation, panic will be your worst enemy while a good stash of survival materials will be your best friend. The parallels between camping and disaster survival are hard to miss, and a person who is good at the one is sure to do well at the other. A few nights spent in the wilderness can help your loved ones hone their subsistence skills and better position themselves for any emergency that may occur in the future. You couldn't give your family a better gift than that.